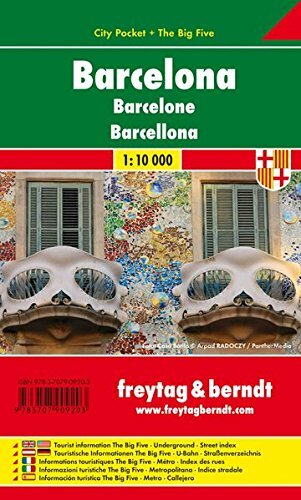 Explore Barcelona with this Freytag&Berndt small and laminated map. 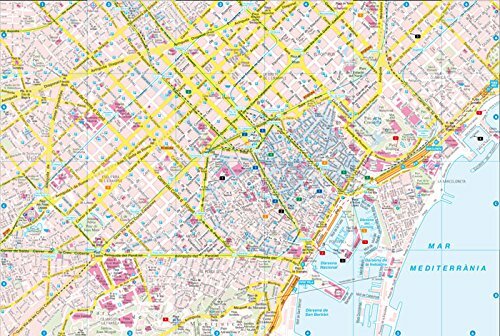 The best way to plan your trip to the capital of Catalunya and to travel independently. 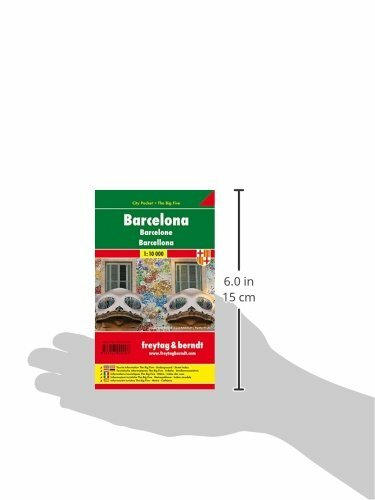 This pocket map contains touristic information on 5 themes: shopping, restaurants, culture, nightlife, and sights. The legend is in English, German, Spanish, Italian, Dutch, French, Czech, Polish, Slovak and Hungarian. Amazon.es Price: 7.95€ 7.55€ (as of 28/01/2017 13:54 PST- Details)	& FREE Shipping. Amazon.es Price: 12.95€ (as of 28/01/2017 13:56 PST- Details)	& FREE Shipping. Amazon.es Price: 37.90€ 36.01€ (as of 28/01/2017 13:55 PST- Details)	& FREE Shipping. Amazon.es Price: 26.00€ 24.70€ (as of 28/01/2017 13:56 PST- Details)	& FREE Shipping.